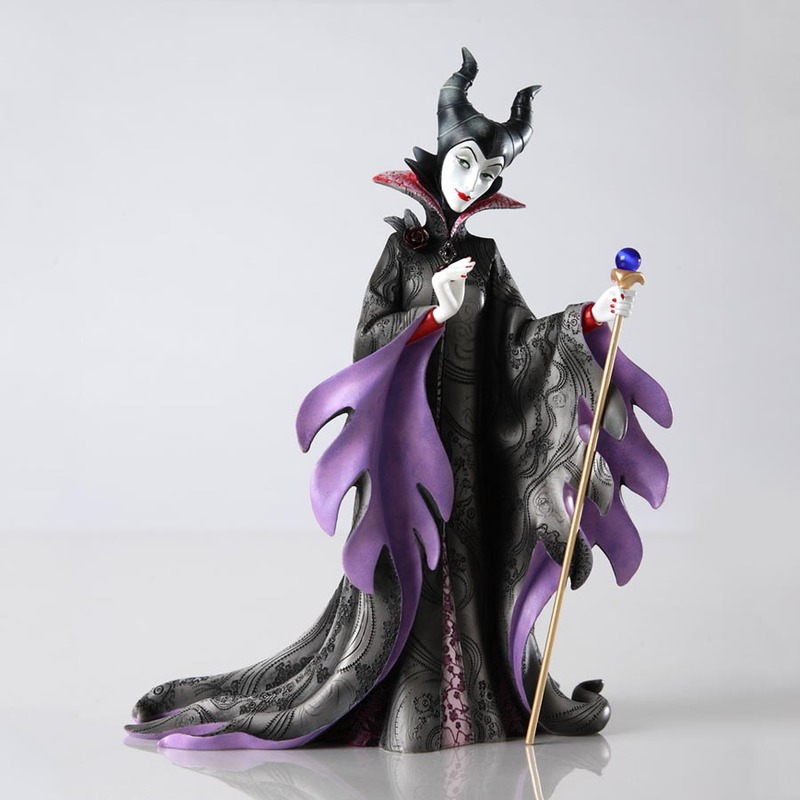 Disney Couture de Force is a stunning collection inspired by Disney's reigning princesses and vampy villains! 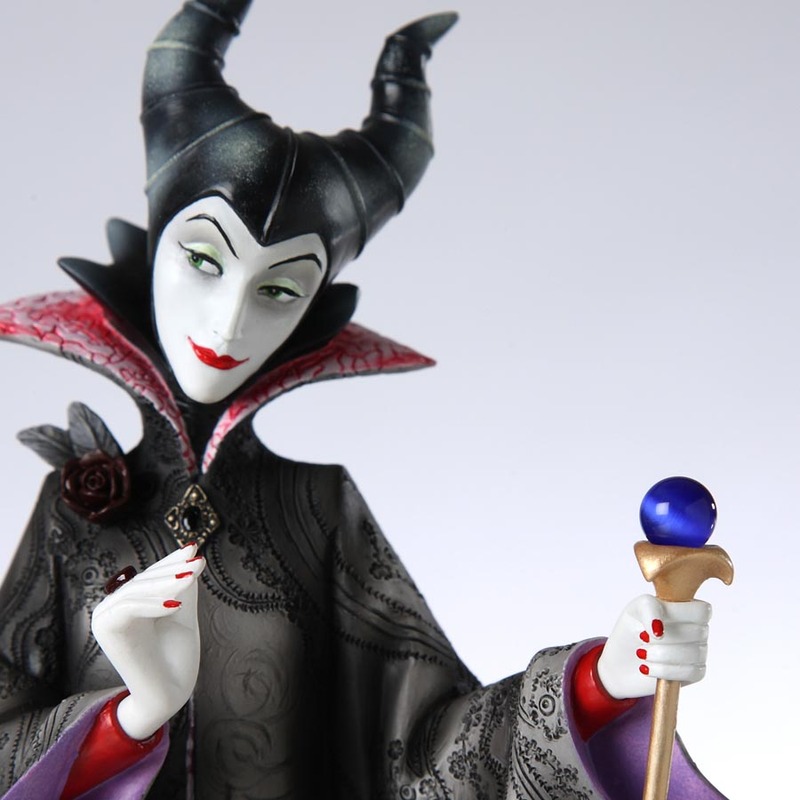 Embellished in haute couture, no detail is overlooked, from faux jewels to opalescent paints, bringing each sculpture to life. 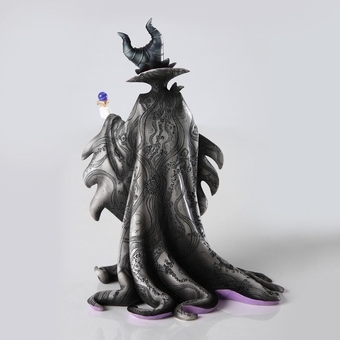 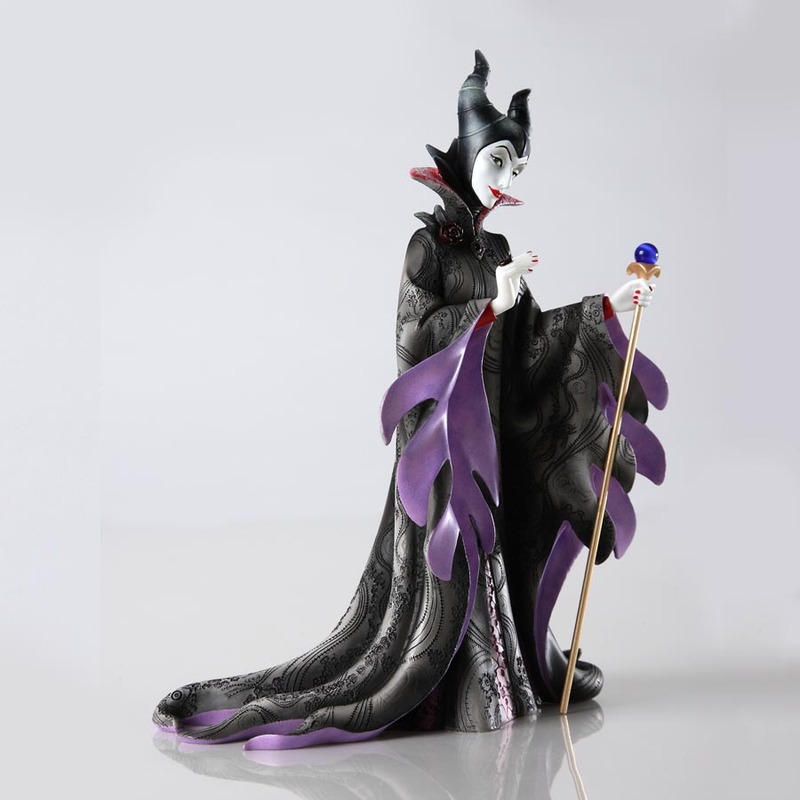 This figurine features Maleficent, the strikingly evil villainess from Sleeping Beauty. She wears robs of black and purple, with her signature ebony headdress. In one hand, she grips a staff, topped with an indigo orb.